Our natural ventilation systems harness wind and heat to create a comfortable and healthy internal environment, with optimal temperature and humidity levels, and good air quality. Our natural ventilation schemes consist of automatically opening and closing windows and rooflights, and can range from a simple open/close switch to a fully integrated energy management system with carbon dioxide and temperature measuring, weather sensors and interfaces with building management systems. 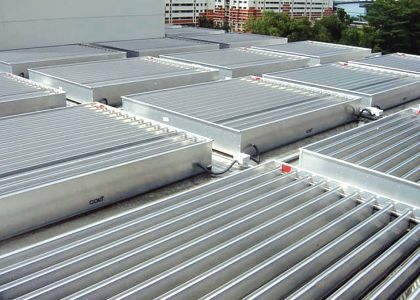 These systems can provide a highly energy efficient solution that requires a small initial investment to maintain a good internal climate with extremely low running and maintenance costs. 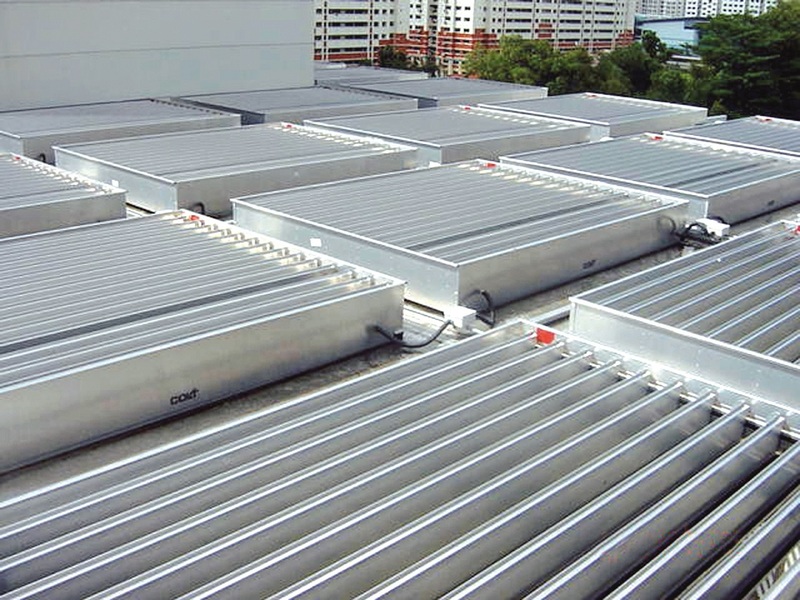 Colt can design a tailored natural ventilation system for all types of buildings – from schools to offices, from power generation plants to shopping centres. By bringing its uniquely broad expertise across different specialties, Colt is able to design the system that best meets the requirements of your project, including integrated solutions for day-to-day ventilation and smoke control, or hybrid natural and mechanical ventilation systems. Colt’s support goes beyond the design stages, through to the installation and, subsequently, to service and maintenance.